“I love your photos! 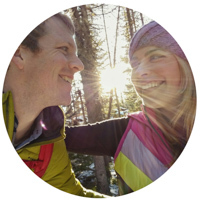 What camera do you use while traveling?” is a question we get frequently from people following our adventures. It’s a great question because light, compact gear is essential when you are carrying everything you own around with you everywhere you go (along with clothes, toiletries, random photo props, and a bottle of wine or two). In choosing what gear to carry we always focus on finding a balance between picture quality, versatility, weight, and cost. 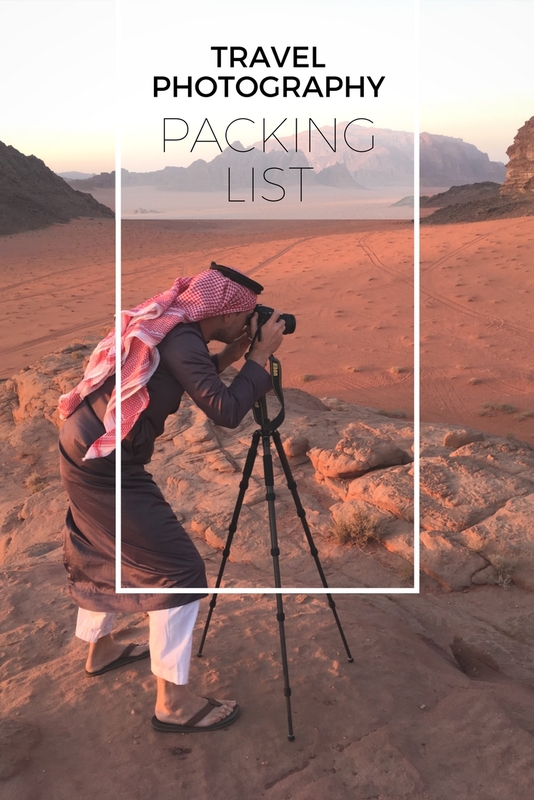 Read on to find out what photography equipment we’ve chosen for our travels and how you can get it too! While on the road we’ve tried everything from small point-and-shoot cameras, several different DSLRs, waterproof cameras, and a GoPro. Over time we have ditched all of it except for our cell phones and a DSLR. 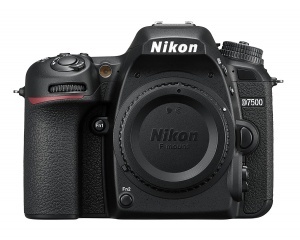 We selected the Nikon D7500 because it checks all of the boxes for quality, affordability, and versatility. It’s fairly compact and lightweight while still offering great photo quality. Plus it’s weather-sealed which we (accidentally) put to the test quite often! The D7500 offers 20.9 Megapixels, an ISO range up to 51,200 (for low-light conditions), shoots 8 frames per second in RAW (which we always use), and can shoot 4k video. But that being said, the camera body has little to do with photo quality. If you want to improve your photography skills but don’t want to drop a lot of cash, choose instead to invest in one or two quality camera lenses that suit your photography style. A high quality, lightweight tripod is also a good investment. 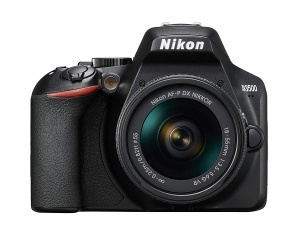 If you want to spend a little less, pick up the Nikon D3500. It costs less than half of the D7500 and is both lighter and smaller (which you’ll appreciate when you’re lugging your camera up a mountain or around the world in a suitcase). The Nikon Nikkor 18-200mm is the real workhorse lens of the Wandering Wheatleys. We use this daily and most of the photos you see on our website and our Instagram page have been taken with this camera lens. 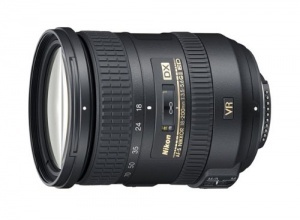 It’s a wonderful zoom lens with a lot of range while still being light, compact and very affordable. It’s rare that we need to zoom more than this lens will allow. We also have shot a lot of photos with the Nikkor 16-85mm f/3.5-5.6G which is a bit smaller, but we sometime felt it just didn’t have enough zoom. Of course there are always better lenses on the market, but they come at a much higher price which means a higher loss in the unfortunate event that it gets lost, stolen, or damaged. It we weren’t so hard on our gear, I would consider investing in the faster and significant more expensive Nikkor 16-80mm f/2.8-4E. If you’re going to be out in nature taking photos of epic landscapes you will most certainly need a wide angle lens to fit it all in. We find that this lens to be invaluable when we want to capture the expansiveness of the scenery around us. 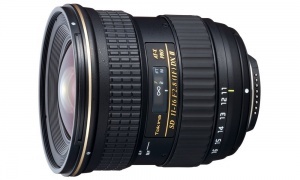 While Nikon’s wide-angle lenses can be rather pricey, the Tokina 11-16mm Wide Angle Lens is made for Nikon cameras, offers amazing quality, and costs about half as much as a similar lens with a Nikon logo on it would. Ever feel like your camera just can’t quite capture the scene? Well this lens is about as wide as you can go without buying a fish-eye lens. If you wish to master the Instagram selfie, ditch the selfie stick and invest in a high quality, lightweight tripod instead. 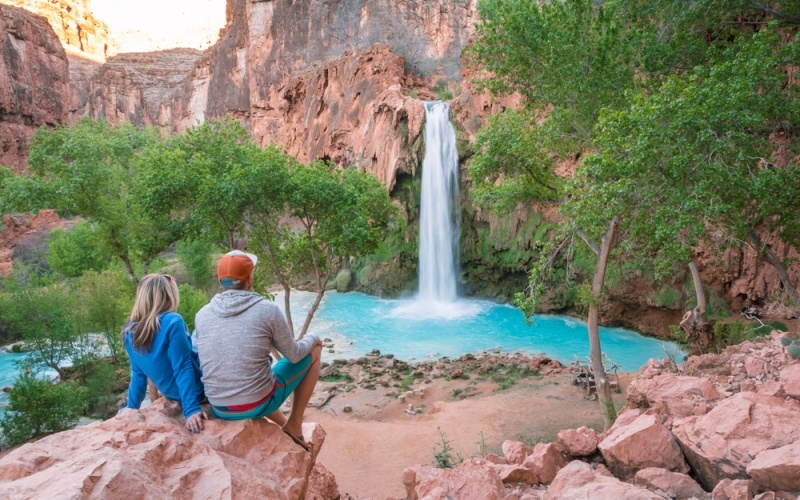 Besides improving your selfie game, you’ll also need it for waterfall shots, night photography, video, and timelapses. The challenge with tripods is that they tend to be heavy and bulky. Travel photographers need a tripod that is sturdy enough for long exposure shots, compact enough to fit in a day pack, and light enough to take on a multi-day hiking adventure. 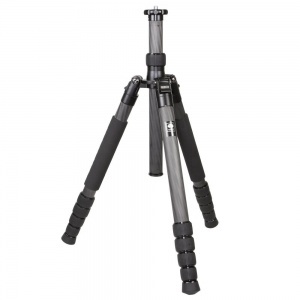 The Sirui 5-Section Carbon Fiber Tripod is the perfect mix of lightweight and sturdy. It weighs less than 2 lbs and when folded up is just 13.8″ long. It is small enough to fit in most any backpack and won’t weigh you down. You’ll also need a ballhead for your tripod – this is the part that connects your camera to your tripod. 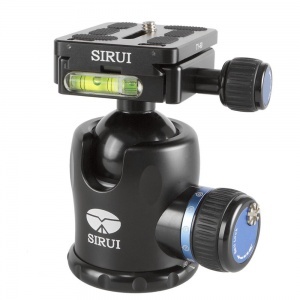 Some tripods come bundled with a ballhead but Sirui sells them separately. This gives you more flexibility to select one that is right for your camera and lens setup. If you have a heavier camera and/or a longer lens, you’ll need a heavy duty ballhead to hold it steadily in place. For most camera and lens setups the Sirui K-20x ballhead will suffice. It has a load weight of 55 lbs and adds just 0.9 lbs to your tripod. The MeFOTO Backpacker is also a great option for a lightweight and extremely portable tripod. It is our second (much less expensive) choice. It is aluminum rather than carbon fiber which means that it’s not quite as sturdy as the Sirui Tripod, but it’s about half the price and comes with the ballhead included! In the days of film, photographers would need to carry around massive bags of filters to achieve their desired effect. Luckily, with digital photography those days are behind us. But you’ll still find that having a few filters in your bag of tricks can help you take you photographs to the next level. For each of our lenses we carry a circular polarizing filter and a neutral density filter. 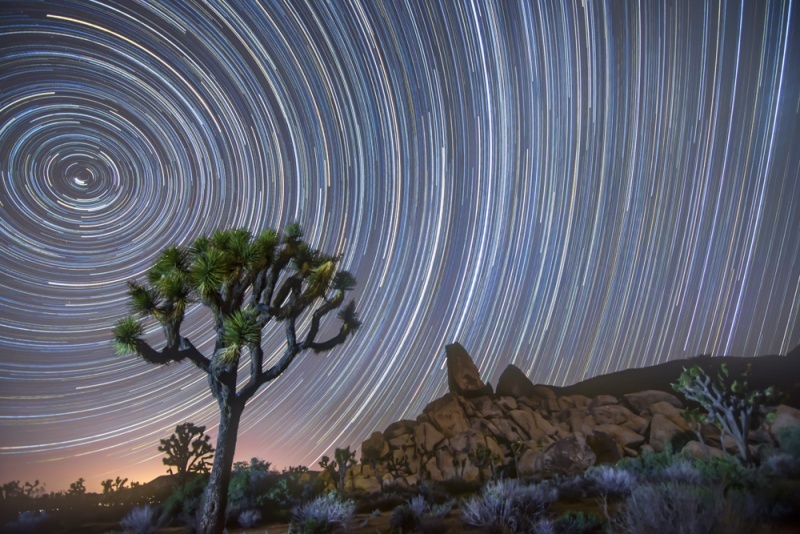 A circular polarizing filter can be useful when you want to remove or accentuate reflections. For example, if you want to highlight the reflection of mountains or trees on a still lake. Or perhaps you want to shoot through a window but are having trouble because of the light reflecting off of the window. It will also help to accentuate the blue color of the sky and water to really make your landscape photos pop! The filter you should purchase will depend on the diameter of the ‘filter thread’ on your lens. Our 18-200mm Nikon lens uses 72mm filters and our 11-16mm Tokina lens uses 77mm filters. You can either find this number printed on your lens or just do a quick google search. 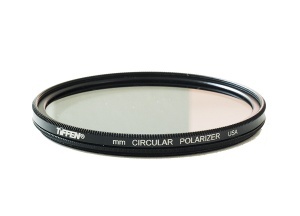 We use a Tiffen Circular Polarizing Filter for both of our lenses. Neutral density filters are pretty simple – they simply reduce the amount of light entering your camera lens without altering any colors. You may be asking “why would I want to do that?” Photographers are usually trying to figure out how to get more light through the lens in order to use a faster shutter speed. But if you want to shoot photos of waterfalls, you’re going to need at least one neutral density filter. 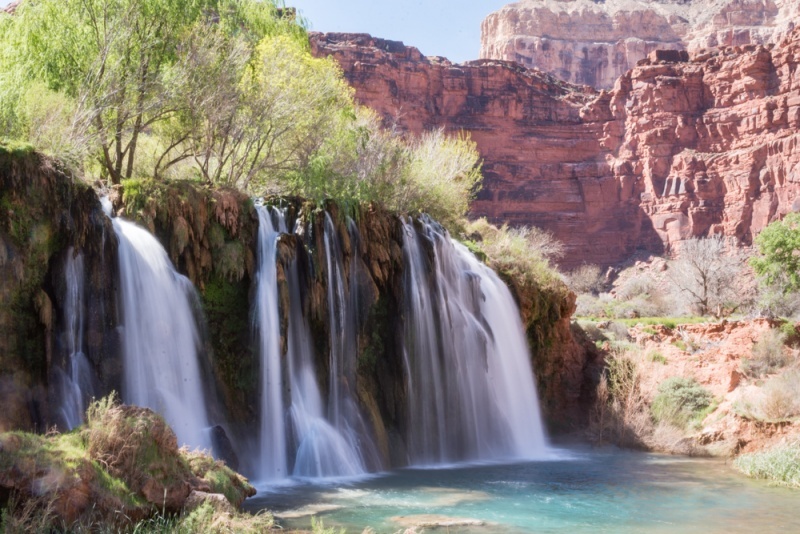 If you want to create a motion-blur effect of a waterfall (that dreamy flowing water look we all love) then you’ll need to be shooting at a shutter speed of around 1/2″. To keep your photo from being overexposed you can lower your ISO to 100 (or possibly 50 depending on your camera) and bump up your F-stop as high as it will go. But there are times that even that isn’t enough. It’s easier to add a neutral density filter to your lens. 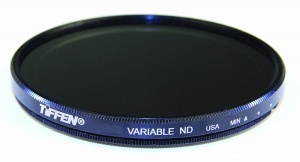 We use a “variable” neutral density filter which means you can rotate it to increase or decrease the amount of light through. This gives you more control over the light coming into your lens so you can get your perfect shot. The downside is if you zoom or focus with your lens you’ll need to reset the neutral density filter. Same as our polarizing filters, when it comes to Neutral Denisty Filters we also go with Tiffen. 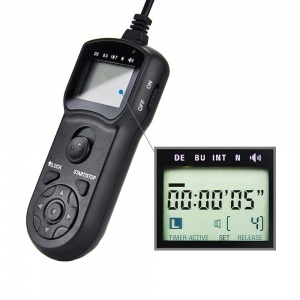 An intervalometer is an importation addition to any travel photographer’s camera bag. They are small, lightweight, inexpensive, and useful in so many situations – selfies, star trails, remote triggering to minimize camera shake, timelapse videos, you name it! You’ll find a lot of inexpensive options on Amazon. We’re currently using this one by JJC. This thing is tiny, weighs almost nothing, and seems to run forever on a pair of AAA batteries! I travel with 4 San Disk Extreme Pro 64GB memory cards for my camera. While I never actually fill all 4 of them up, the D7500 has 2 memory card slots. So I have 2 in use at all times plus 2 backups. Since memory cards are inexpensive and lightweight, there’s no downside to carrying around a few more than you need, just in case. They have write speeds of up to 90MB/second. If you decide to shoot in burst mode or record 4k video you don’t want the write speed of your memory card to slow you down. At 90MB/s you won’t have any issues. They are shock-proof, temperature-proof, waterproof, and x-ray-proof. 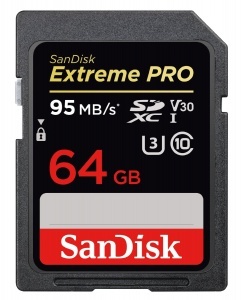 I’ve never experienced any issues or data loss with SanDisk Extreme Pro memory cards and I have been pretty hard on them. They seem to be fairly indestructible. Don’t forget that you’ll need to store all of your digital photos and if you’re shooting in RAW then each photo is likely 30MB+. Invest in an external hard drive so you can keep your precious memories safe without filling up the hard drive on your latop. 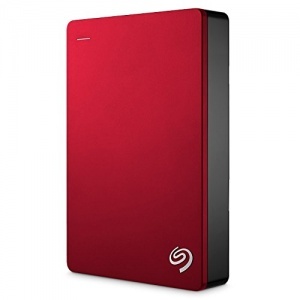 We currently carry 2 Seagate Backup Plus External Hard Drives – each with a capacity of 5 terabytes. Once is our primary means of storage for our photos and the second is our backup copy of everything. We love these drives! They are compact and lightweight, and we have never had any issues with reliability or loss of data. We also wrote an entire article about choosing the right portable hard drive for photo storage while traveling. I absolutely love these lens cases! When you buy a lens it might come in a felt bag, but if you’re hauling it around in a backpack all the time that just won’t be enough protection for your investment. As I mentioned, we’re carrying 2 lenses so one is always on my camera and the other is in an Ape Case. 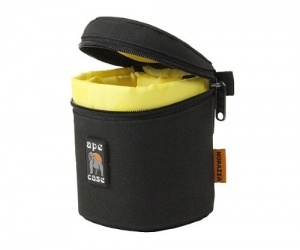 The “Compact Case” (or the “Ape Case ACLC8”) fits both of our lenses perfectly. If you’re going to be traveling and/or hiking with your camera, I would highly recommend picking up a camera battery charger than can be plugged into a USB port. 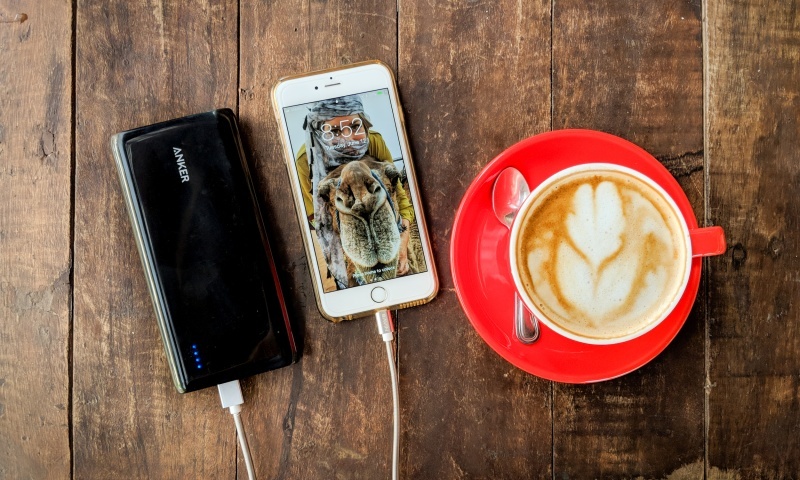 This allows you to charge your camera in the car if you’re on a long road trip or via a portable power pack if you’re going hiking or off-the-grid. 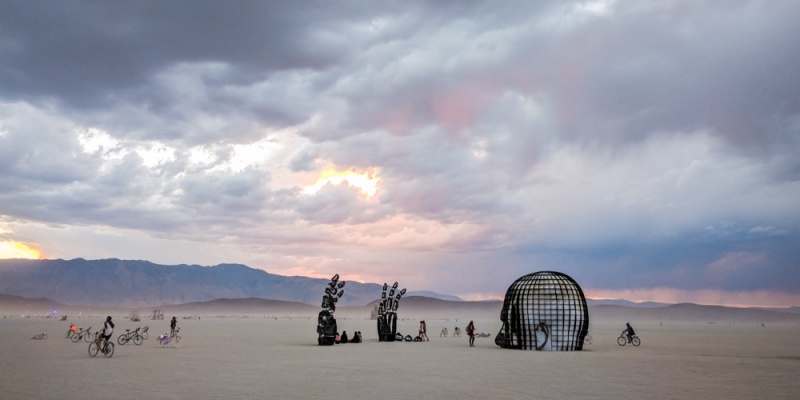 (This really came in handy during our Burning Man adventure). 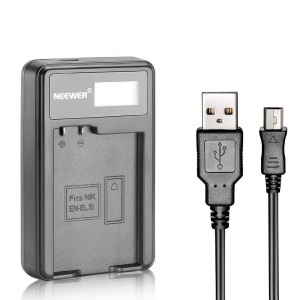 We use a small, lightweight battery charger from a company called Neewer and we have no complaints! If we’re headed on a multi-day hike or into an area where we may not have a reliable power source, I always pack a portable power bank. 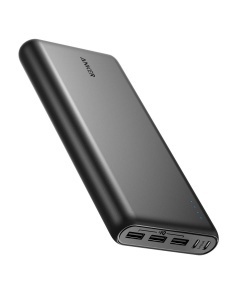 I have been incredibly happy with me Anker PowerCore 26800 Portable Charger. 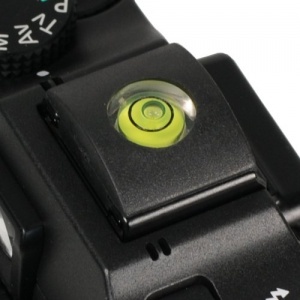 This gadget is the perfect replacement for your camera’s boring old hot shoe cover! (If you don’t know what a “hot shoe” is, don’t fret, that just means you’re not a huge nerd). The bubble levels ensures you photos are level, which will save you time in Lightroom later, while also keeping dust and dirt away from the metal connections for your external flash. It’s a complete win-win situation and it doesn’t weigh more than a couple ounces. That’s it! The secret to how we take beautiful photos without breaking our backs (or the bank). Do you have any favorite camera accessories that you travel with? Comment below so we can add them to our bag! Great post loving the detail reviews and pro tips. Upgrading out photography game is happening this year.